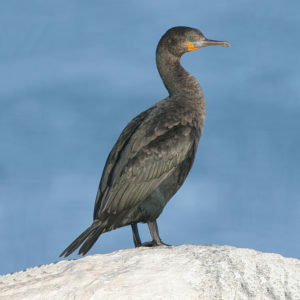 Largest African cormorant. 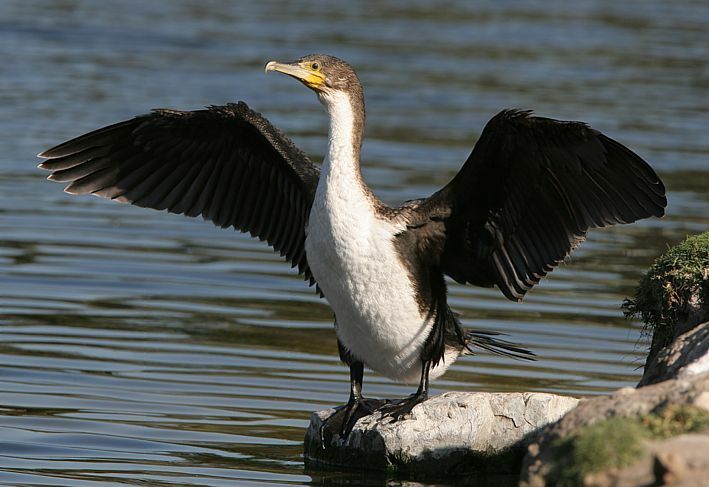 White lower neck and upper breast. Usually a solitary feeder. Feeds in the channels around Leisure Isle. mainly fish, occasionally frogs, crustaceans and mollusks. 80 to 100 cm Resident mainly fish, occasionally frogs, crustaceans and mollusks.